It’s inspired a hit musical. The soundtrack has sold in its millions. And it’s still, arguably, the most popular film on Patrick Swayze’s curriculum vitae. Most worrying of all, perhaps, is that Dirty Dancing is now more than twenty years old. Now that’s scary. Still, it does offer the excuse for a special anniversary release, and that’s exactly what we have here. And, to be fair, the film has never looked better. The story is still as straightforward and simple as it always was, baked just to the point where it can support the aforementioned Swayze and Jennifer Grey strutting their stuff. 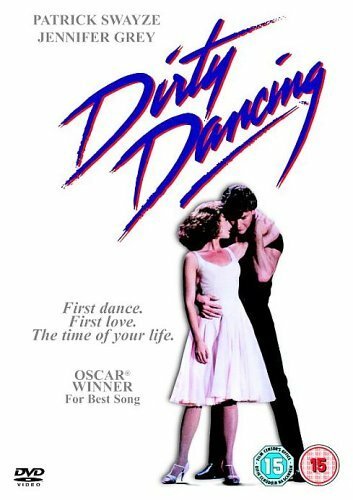 But Dirty Dancing nonetheless continues to work well to this day, with its rarely-rivalled, sizzling mix of romance, energy and music. Of course, it’s an easy film to pick holes in, should you be inclined to do so. After all, at heart it’s a well packaged piece of hokum, that’s never likely to contend in a Top 100 movies poll. But to pick holes would be churlish, and perhaps to miss the point. Because Dirty Dancing’s mantra is to entertain, and it delivers on that promise with some conviction. The late Emile Ardolino wisely keeps his direction zippy, and the two leads really do look like they’re having the time of their life.